Save time and money while streamlining your business banking. Pay vendors, employee payroll and more — all on time and with accuracy. 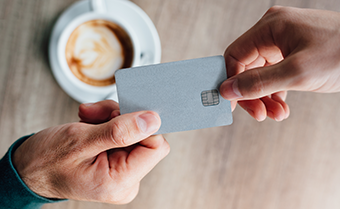 Our ACH services automate your outgoing payments so you can focus on other business needs. Pay bills securely, 24/7. Business bill pay lets you pay bills whenever it's convenient, wherever you have an internet connection. Reduce paper clutter and keep your business organized by having all of your bills online in one place. Stop fraud before it happens. Positive pay enables you to compare checks that are presented for payment to those that your business has issued. Enjoy greater peace of mind with this additional security measure on your funds. Reduce time and money spent commuting to the bank — deposit checks from your home or office, 24/7, with remote deposit capture. It's especially useful for businesses that make deposits after normal banking hours.